At Dunmow Double Glazing, we don’t believe in compromising on quality. Our expert team of home improvement professionals have been trained to the highest possible standard, enabling us to offer a full supply and fit service for composite doors and composite front doors like no other Essex company can. We enjoy a close working relationship with leading designers and manufacturers of quality composite doors. Ensuring that we can offer a leading service, and the most competitive prices for front doors in Essex. Our composite doors give you the very best in strength, easy maintenance, security and weather resistance. They look fantastic too! We offer a substantial range of colours and designs, ensuring your new composite door complements the existing aesthetics of your Great Dunmow home. Our exceptionally crafted composite front doors are designed to retain their phenomenal appearance year after year, with very little maintenance on your behalf. Your new front door will never need to be repainted or treated as a result of exposure to freezing conditions and rain. Our composite doors are built with up to date materials for a winning combination of strength, security and durability. Available in a wide range of styles, colours, hardware and glazing, we have composite front doors to suit any taste. Built in the likeness of timber, our composite doors come in a wide range of stunning designs. Equipped with all the modern benefits of Upvc technology, they are low maintenance and durable. This makes them the perfect replacement for wooden front doors. A robust structural frame and up-to-the-minute hardware makes our composite doors highly secure. All doors come with high security locking systems as standard and police-approved, our secured by design composite doors offer the ultimate security. An outer layer of GRP skin means these doors are highly resistant to scratches and dents. No re-painting or varnishing required. Our composite doors are made with an inner layer of insulating foam, providing more heat insulation. These doors will keep your home warm and comfortable all year round. Our composite front doors are completely weather tight. They have been built to keep your home protected against the harshest of weather conditions thanks to their innovative design. It’s important that the entrance to your home is built to withstand everyday use. Our composite doors are extremely durable and come in an option of low level thresholds ideal for wheelchair access. We provide composite door installation service in Great Dunmow and surrounding areas. We cover Braintree, Chelmsford, Saffron Walden, Bishops Stortford, Stanstead, Thaxted, Harlow, Whitam, Billericay, Brentwood, Basildon and surrounding areas in Essex. Tailor your composite door to suit your requirements. 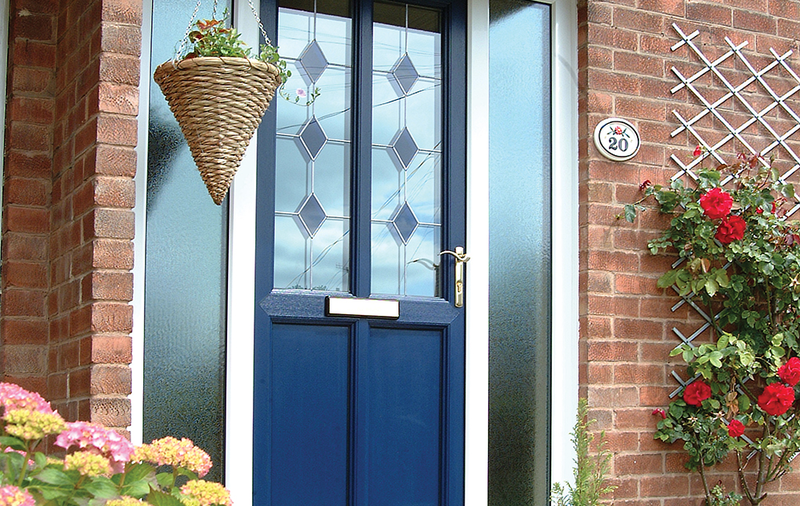 Our composite front doors come available in a wide range of durable colours. If you are after a traditional style, then you can opt for a timber grain effect for a rich and classic look. In order to maintain our reputation as Essex’s leading home improvements company, we have invested in advanced software which allows our customers to generate quotes for composite doors in just two minutes. You can get an instant price for your new composite door on our website. Our free online quoting engine is easy to use on mobile phones, tablet devices and laptops. Alternatively, you can get in touch using our online contact form or by calling us on: 01371 821917 or 07809576227. Dunmow Bi-Folding Doors offer bespoke aluminium bi-fold doors for supply, fit, and trade. Contact us on 01371 821917 or 07809 576227 to find out more. Great Dunmow, Felsted, Braintree, Chelmsford, Basildon, Southend, Harlow, Sawbridgeworth, Bishops Stortford, Saffron Walden, Colchester, Brentwood, Epping, Stanstead, and Essex. © 2018 | Dunmow Bi-Folding Doors.